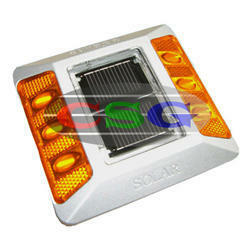 We are a leading Exporter of solar road stud, reflective road stud, 3m road stud and road stud from Mumbai, India. We have over two decades of vast industrial knowledge and experience in producing superior quality Road Studs. Material Body made from poly-carbonate. We have over two decades of vast industrial knowledge and experience in producing superior quality Reflective Road Studs. Our engineers and technical team also provide customised designs Road Studs as per customer requirements and applications. Advanced techniques are used to produce Impact Resistant Road Studs with precision. 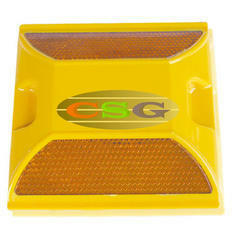 We are long-time established manufacturer, distributor, importer and exporter of Reflective Road Studs. 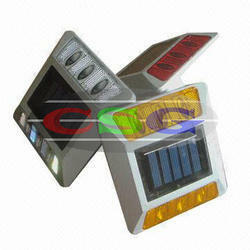 Our Highway Studs follows industrial norms depending on the product. 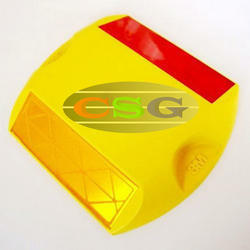 Our product Road Studs was developed keeping in mind the safety of people . This Solar Road Studs conforms to government standards and industry regulations and New models of this Cat Eye Road Stud keep developing to produce higher quality products without cutting corner. Looking for Road Stud ?